Rum&Sugar Bar seeks to spread the word around the neighborhood about its free jazz nights. Rum&Sugar opened in December 2016, but 823 Geary has been a bar for over 70 years. It went through different hands and different stages from historical if slightly shady Castle Club bar, to a beautiful hidden pearl of Tenderloin, and a craft cocktail lounge with a full bar and a particular focus on rum. However, owners Sergey Yushin and Olga Zhuravskaya felt like something was missing from the picture. “This city lives and breathes jazz. So many talented musicians and artists among our close friends, the idea to host jazz nights and music events just came naturally,” says Olga Zhuravskaya, one of the owners. What began with on and off free jazz gigs eventually turned into a steady program of concerts twice a week, featuring jazz bands from all over the Bay Area, such as Josh Jones Latin Jazz, Bill Hampton’s Trio, Erik Egol, Rick and Vik, Nirav Sanghani’s Pacific Four, Jean Ramirez, Juniper Jazz Band, Silver Bell Jazz and many more. At first, we got a lot of help with our line-up from the incredible Pascal Bokar of Savanna Jazz. But then band leaders started contacting us on their own; the latest addition has been WestSude Jazz, and those musicians are amazing! We used to hold two jazz nights: Friday and Saturday, but eventually, we realized that live music has such an unbelievable therapeutic impact on the neighborhood, and our jazz program became so extensive, that we decided to go all in and add a third jazz day to the calendar. And now we are happy to announce that we are adding Thursday as a third jazz day. " 9, starring Silver Bell Jazz Band. 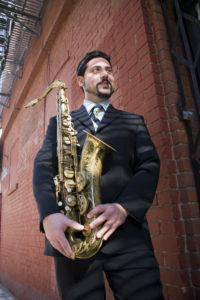 Ryan assembles musicians from all over the Bay Area and with a rotating cast of jazz musicians, you're sure to get a fresh, breathtaking experience every time, just like in the early jazz sessions. 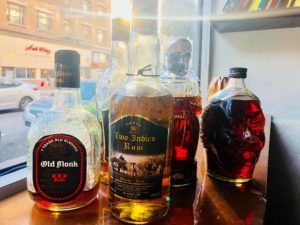 Rum has a long history in India, and we are excited to explore an array of India rums at this week's Iterum Rum Club on Tuesday, June 19th, 6:00 pm - 8:00 pm. Learn about the Old Monk dark rums from Ghaziabad in India. Their iconic rums are a staple. From the Amrut Distillery line from Bangladore, we will be tasting two rums. Amrut, according to the legends, means the Elixir of Life. The Cocktail of the Week will feature one of these beautiful rums, stay tuned to hear which one! Every Tuesday all Iterum Club members get 10% off on all neat or rock pours or flights and this week also 20% off on all rums from India. Please come and join the Club, membership is free and each week we learn about rums from around the globe! Silver Bell Jazz album release! Yes, I know that you have purchased the CD of our fav local Jazz Band, but in case you haven't come and join us for the Release Album Party! We will have a few tricks up our sleeves because we love to spend the night listening to light-hearted, fun jazz music performed by Ryan Calloway and his crew. The Silver Bell Jazz Band represents authentic jazz with a beautiful blend of jazz roots that moves the soul. Ryan assembles musicians from all over the Bay Area, and you're sure to get a fresh, breathtaking experience each and every time. As usual, there's no admission fee; we'll see you there! Dear Rum lovers and those who want to acquire profound knowledge about this incredible spirit! Our warmest thanks to our old friend Mac Jones, Co-owner of The Real McCoy Rum for the Real Conversation About Rum last Tuesday. On Tuesday, May 1 from 6:00 pm until 8:00 pm our special guest is the Bacardi ambassador Vanessa Crouch who will introduce new Bacardi Rums. Every Tuesday is our rum appreciation day, and Iterum Club members get 10% off on all neat or rock pours or flights and this week also 20% off on all Bacardi Family Rums.